Athletics and Kids-At What Cost? It’s that time of year again. Summer is winding down and fall schedules are getting ready to kick in. Is your house anything like ours when it comes to activities and athletics? My wife, Linda, and I typically find ourselves looking over the family's schedule for the week and both scratching our heads. How in the world did our schedule get so packed? Now, let me be clear, I am not anti-athletics. In fact, athletics have been a huge part of most of my life. Whether it was participating, coaching, training, or supporting. I love athletics and all they have to offer. But, as parents, I think it's time to have a serious conversation about the priority we put on them. I believe we need to have more dialogue about what athletics and activities are costing our families verses what we get in return. 3. How much does your child like the sport? It's best to answer these questions for yourself BEFORE your child gets involved in a sport or activity. Is your goal simply to aid your child’s development? Or is your child aiming for the pros? Linda and I have set a few ground rules for our family to help us work through this predicament. We are not saying our way is the only way or even the right way. What we are saying is that it is important to put some thought and perspective into what your child’s athletics will cost your family verses what you'll be getting in return. The ground rules we've set in our home are primarily for athletics and activities BEFORE high school. We understand that as an athlete comes into high school he or she may need to focus on one or two sports in order to develop the skills and conditioning necessary to be competitive. But as parents we've gotten this way out of balance for our younger kids. No more than two sport seasons per child per school year. This usually allows for at least one season of downtime for each child. This not only benefits the child with a less chaotic schedule, but also helps Linda and I keep our sanity especially when you have more than one child. This may have to change as the child progresses into high school and they are able to participate without the need for us to transport on a daily basis. No teams that involve regular or mandatory overnight travel for tournaments and games. This rules out many of the “select” teams for our kids. The cost is just too high not just monetarily but also with time and our other kids. When our kids are traveling over the weekend, they are less likely to attend and be involved in church. We believe in the long run our child will benefit more from his or her’s relationship with Christ and a positive church family, than from any sport. What is valued is protected! No playing the same sport for more than one season during the school year. Again, this mostly applies for children before they enter high school. Students playing the same sport at a young age comes at an incredibly high cost. 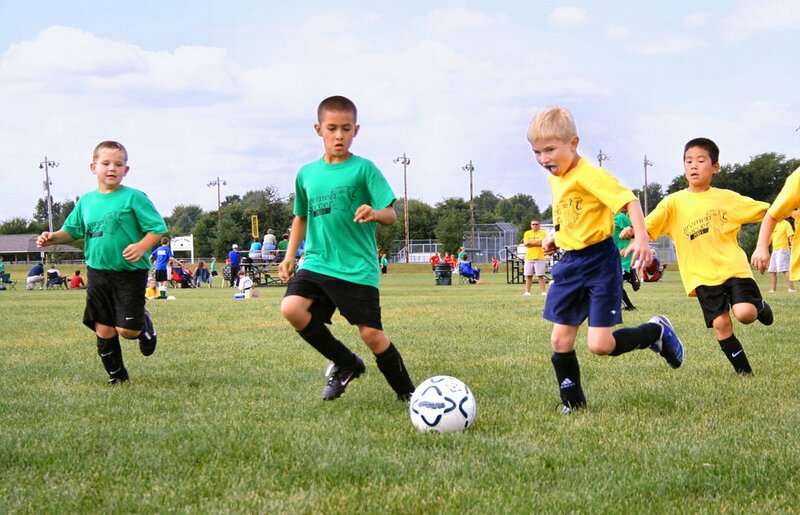 Burn-out, injury, loss of interest, etc.. My involvement and study of children in athletics reveals time and time again, that playing the same sport for prolonged seasons does not place your child in a better place for long term success in that sport. In fact, it may lead them to quit the sport prematurely. Variety of activities, use of the body, coaches, teammates, and a variety of skills prove to be more valuable in the long run for our athletes. *Obviously, we would make an exception to this rule if we were worried about the care or safety of one of our children. If we believed our child was being hurt by a coach, coaching style, or significant injury, then we would have the discussion on what we believed was in the best interest of our child. We believe it’s important to encourage our kids to participate, work hard, learn to win, learn to lose, learn to work within a team, and learn the importance of being coachable. We do not want to mislead our kids into thinking they are better than they really are by giving them inflated complements and accolades. No, we really don’t want them to have a trophy, unless they have truly earned a trophy. We see great value in our kids playing athletics. But in the end, especially with our younger children, it's about keeping them in a healthy balance within the family. For us, we had to weigh their value over their cost to our family. In our family, God, family meals, school, homework, daily chores, and family commitments are valuable things in life we will fight hard to protect.